Shane was 23-years-old when he was hit by a car and killed. GARDA COMMISSIONER DREW Harris has described his meeting with the family of a 23-year-old man killed in a hit-and-run as “informative and constructive”. Harris met with the family of Shane O’Farrell earlier today in which the family outlined their “deep concerns in a very dignified manner”. On the evening of 2 August 2011, the 23-year-old was cycling home when he was struck by a car driven by Zigimantas Gradzuiska near Carrickmacross in Co Monaghan. The Lithuanian national had previous convictions for offences including aggravated burglary, road traffic offences and the handling of stolen property. Gridziuska did not remain at the scene of the collision but was arrested later that day. He was handed an eight-month sentence for dangerous driving causing death in February 2013, but it was suspended on the basis that he would leave the country within 21 days. The O’Farrell family has been asking how Gradzuiska, a repeat offender who was on bail from multiple courts, was at liberty on the day Shane was killed. In a statement today, Harris said as matters directly related to the concerns of the O’Farrell family remain under investigation by GSOC he would not make any further comment as to the detail covered in the meeting. “I was pleased to meet with the family of Shane O’Farrell today. This was an initial meeting which was informative and constructive,” Harris said. Shane's had just finished a masters in law and was applying for his first professional jobs,. Earlier this year, GSOC published a report into its investigation into matters surrounding the death of O’Farrell and found that no garda conduct was in breach of procedures in relation to the investigation. There are now calls for a public inquiry from Shane’s mother and 20 politicians from parties including Fianna Fáil and Sinn Féin. However, Taoiseach Leo Varadkar previously pointed out that GSOC is an independent body that reviewed the case and that a public inquiry often takes a very long time, and can often not return the outcomes or answers people are seeking. 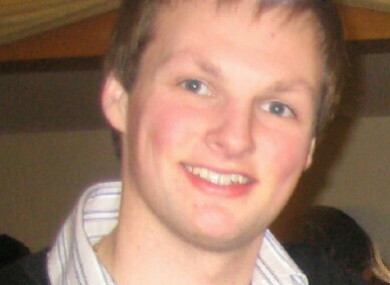 Email “Family outline 'deep concerns' to Garda Commissioner about son killed in hit-and-run”. Feedback on “Family outline 'deep concerns' to Garda Commissioner about son killed in hit-and-run”.